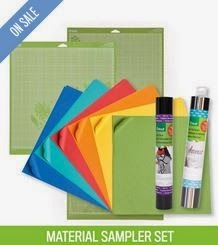 Cricut is having a Flash Sale and they are offering 40% off all supplies, no coupon code needed! Just head over HERE to check out the deals. PLUS get free shipping on all orders at Cricut.com with the coupon code MARCHSHIP at checkout. While you're there be sure to check out the discounts on Cricut machineswith prices as low as $229. Check out the Magazine Madness Sale where you'll find a huge selection of popular magazines on sale with prices starting as low as $3.99 (no promo code required)! Check out this Disney Frozen Classic Hideaway Tent on sale for $9.99. I'm going to grab this for my little girl and hide her Easter Basket in it! Aeropostale - Extra 30% off Everything - Hoodies Only $6.29 & More! Now through March 22nd, save an additional 30% off everything plus free shipping over $50 at Aero and P.S. from Aeropostale with code: FF15. This is a great time to check out the clearance section. I just found this Kids' Circle NY Popover Hoodie for only $6.29 (Retail $32.50) with code: FF15. Sweet! Through the end of March, get all 2015 Entertainment Books for $16, plus Free Shipping! Plus, additional Books are just $10! Today only, save up to 40% on a great selection of Graco booster car seats. There are quite a few styles and colors to choose from, so be sure to check it out! Vera Bradley is offering a FREE Cooler Tote (Retail $60) with any purchase of $125 (after discounts) until March 22nd, plus Tiered Sale with Buy 1 Sale Item and Get 20% Off, Buy 2 Sale Items and Get 25% off, Buy 3 or more Sale Items and Get 30% off. New Coupons - Barilla Pasta, Kellogg's Pop-Tarts & More! Now through 3/31, head to Shutterfly and get a FREE Personalized Pet Tag ($6.99 value) with promo code code BESTFRIEND at checkout. Shipping is $3.99. Offer expires March 31, 2015 (11:59 P.M. PT). Offer is good for 1 free pet tag through shutterfly.com. Valid only for new Shutterfly customers (those who have never purchased from Shutterfly). Offer cannot be redeemed more than once per account and/or billing address. Taxes, shipping and handling will apply. Fall in Love Again with some of your Favorite Crocs Originals 30% Off with code FAVE30 at checkout. *Offer valid online only at crocs.com. Must use code FAVE30 in cart to apply discount. Must have qualifying products in cart to apply discount. Cannot be combined with any other offer or promotion. Valid on select products only, see site for details. Offer valid while supplies last. No rain checks. Offer ends Monday, March 23rd, 2015 at 11:59 PM MDT.